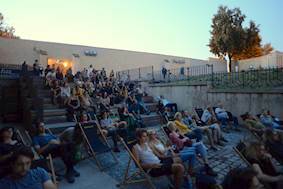 Challenge: The summer cinema season in Prague is hugely popular with open-air venues operating all over the Czech capital. 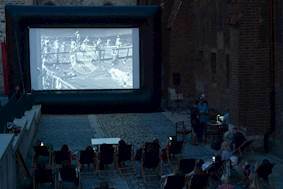 The National Film Archive at St Agnes Convent was to take place from the 21st June - 8th September. 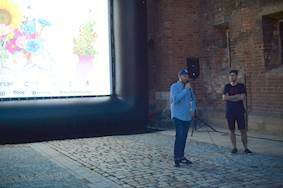 The biggest challenge was to ensure the projector was easy to install and capable of beaming bright images both day and night for all viewings outdoors. 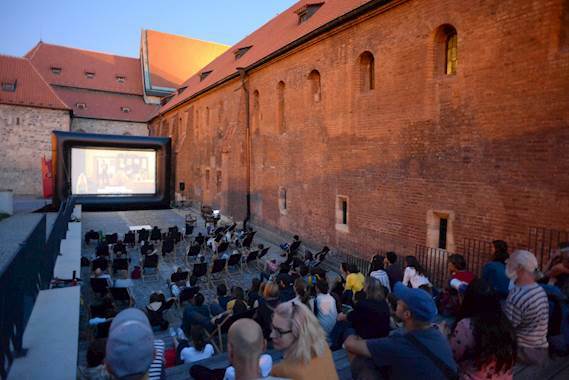 Solution: The Optoma ProScene WU1500 and the BX-CTA21 lens was selected as the best fitting solution for the outdoor summer festival due to its flexibility and capabilities of withstanding demanding professional applications. Image quality, performance and reliability were of paramount importance.